You don’t need a car to set your sights on adventure. A bike can sometimes take you where no car could ever go. They’re eco-friendly, cost effective, health boosting, and best of all, they have an ability to open new territories for unforgettable adventures. Gear up and get pedaling at one of these 10 best bike shops in South Carolina. Formerly called the Great Escape, Trek Store offers three locations in South Carolina that specializes in Trek mountain bike sales, rentals, and gear. You can bring your old bike in for a trade deal or score a great deal on a closeout bike. This store also features weekly bike rides to introduce you to others in local biking communities. There’s a reason why Mike’s has been voted “Best Bike Shop in Charleston” for over 16 years. They know bikes, and offer the service and experience to prove it. Here you can shop for your perfect two-wheeled eco-friendly transportation, or rent one for your next getaway. They also take care of all your servicing to keep your bike in the best shape. Whether you’re a beginner or a seasoned biker, you can appreciate and benefit from the expertise of the bike pros at Outspokin’ Bikes. Their high-quality service sets them heads and shoulders above the competition, partly because of their own enjoyment of and experience with the sport. Here you’ll find a solid selection of Giant, Santa Cruz, and Felt bikes for sale, along with a rental fleet that may better suit once-in-a-while riders. Whether you prefer an off-road adventure or like to stick to the road, you’ll find a bike and the accessories to fuel your biking hobby. If you want to partner with a bike shop that cares about your needs after the sale, you’ve got to check out Cycle Center. They carry a wide variety of brands and styles, from BMX to folding bikes to premium American and European makes. They can not only help you pick the right bike for your goals, but also take care to support you with service requirements, upgrades, and other services to extend the life of your bike. Road or all terrain? Competition quality or casual cruiser? Full sized or just for kids? Whatever your style, you can find a good selection of each at Road Fish Bike Shop. They also offer rentals to take you along the quiet streets of the island, so you can leave your own at home. Anyone can sell a bike, but only true bike professionals can offer years of working mechanical knowledge and expertise to back up their recommendations. 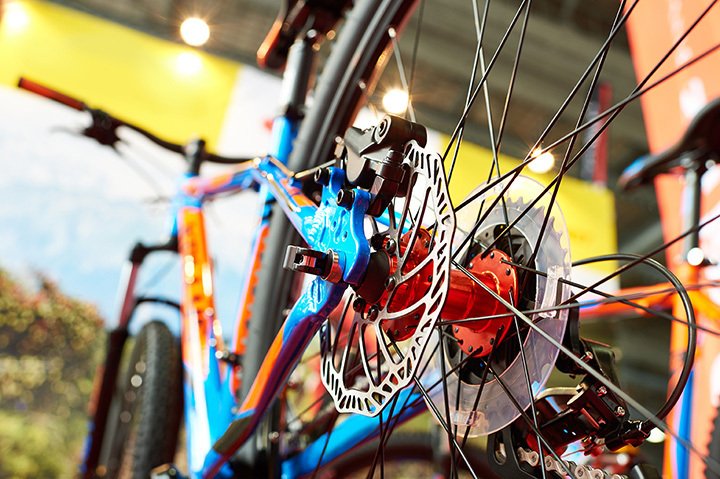 Enter Bike Worx, a long-standing pillar in the Spartanburg biking culture with extensive experience in repairs and service. They continue to be a go-to resource long after the initial sale because of their high quality and attention to detail in extending the life of every bike they touch. Any old bike might get you from Point A to Point B, but only the professional bike stylings at Beach Bike Shop can get you there in the best possible way. These guys take care to ensure you get the right bike for your needs and wants. Freehub Bicycles specialize in providing bikes and all their components to serious road and fitness bikers. They cater to bikes of all ages, and take every opportunity to share their love for the sport, including their involvement to provide kids with their own bikes. Phil’s Bicycle World focuses on creating a safe biking experience for everyone who comes through their doors. Even if you don’t purchase your bike from Phil’s, you can bring it in for a safety inspection to ensure something won’t fall apart on you when you’re miles away from help.